Set in a prestigious building, home to various other businesses including law firms, architects and engineers, this freshly refurbished centre offers a superb range of office spaces and business support services. Easily accessible by car and bus. This premium location has all of the amenities that your office needs to successful. Offering all-inclusive pricing packages ensures that your business will not have any hidden fees after signing your lease. Coworking, Serviced Office Suites and Dedicated Desks are all offered at this location. This center is surrounded by many local attractions, shopping centers, restaurants and local transportation stations. This center offers one of the most flexible leasing plans available on the market. Premium office space, located in a thriving neighborhood. This location comes fully furnished, providing businesses with the essential tools needed in order to succeed and thrive. Located in the Entertainment District ,this location as a multitude of options available for restaurants and after hours networking events. Located in the heart of the Fashion District in Downtown Toronto, this office provides business with a premium location. The business professional atmosphere is perfect for any company who is looking for growth. Fully furnished offices come with flexible terms and all inclusive pricing. The long list of amenities provides your office with all of the tools needed for success. Located nearby local transportation stations. Presenting this well-established range of spacious executive suites and modern virtual offices in Toronto’s prosperous financial district. Superb administrative and facilities management support, cutting edge technology including high speed internet and flexible lease conditions suit all modern business needs. Clients will be easily able to benefit from quick access to the subway and PATH, making the site easily accessible from afar. This business centre features a range of office-spaces available on flexible terms, all at affordable prices. Tenants can make use of the high-speed internet connection, meeting rooms and business lounge access. The centre is also accessible 24-hours a day, making it the perfect place to set up an aspiring business. The area is filled with plenty of local amenities as well, including restaurants, bars and cafes. Transport links are substantial as well, with great road, rail and air links. One of Toronto"s heritage buildings plays host to this vibrant and creative business center in Liberty Village, one of Toronto"s fastest-growing business locations. The flexible office space on offer puts tenants within touching distance of various creative companies in technology, advertising and the media. The center is also surrounded by a plentiful amount of amenities such as coffee houses, restaurants, banks and retail outlets. This building was constructed in 1928 and has stood the test of time. Clients will be able to enjoy the vibrant community and the established professional atmosphere. Offering both serviced office space and coworking stations, you will be able to find the option for your business. Memberships include a long list of amenities that include a private phone room, printer/copier, unlimited coffee/tea, and many other services. Right across the street from Toronto City Hall and Ontario Courthouses this exquisite business center offers an extensive variety and wide range of flexible office space and comfortable, luxuriously provided meeting rooms as well as dedicated day offices for those in need of short-term space in which to work from. The locality's transport links are also excellent, with convenient and frequent road and rail services operating. This exquisitely furnished and exceptionally well equipped business center installation is a key provider of premium standard and highly prestigious workspace solution packages, offering all professional clients and prospective tenants with diverse and flexible workspace options ideally suited for any type of industry or corporate background. The services on offer at this center are state of the art and the site is easily accessible. Presenting remarkable executive spaces to lease wired with cutting edge technology. This sophisticated business center is situated at the entrance to Toronto’s underground walkway and is within a moment’s walk to Union Station. Enjoy the vibrant local area surrounding the center, as well as the modern onsite conveniences like the trendy cyber café and state-of-the-art equipment. The site is also easily accessible, owing to the region's transport links. Introducing cutting-edge, fully serviced executive offices situated in Toronto’s plush financial district on Bay Street. Offering clients spacious boardrooms, state-of-the-art video and teleconferencing facilities and innovative virtual offices. Fantastic opportunity for any size company. The local transport links are excellent and provide a number of frequent and convenient services throughout the region. Located in Toronto’s prestigious financial district, these light and airy executive offices offer a calm professional work environment. Each suite is equipped with high-end technology and IT support Is located in-house. The subway, PATH and excellent transport links are all nearby. Right in the Financial District. Close to First Canadian Place, Scotia Plaza, Commerce Court, Toronto Dominion Center (Toronto Stock Exchange), City Hall and Osgoode Hall. Right across from the Bay Adelaide Center and Trump Tower. Close to subway and PATH access. The ground floor has an upscale lounge and fine dining restaurant. Presenting this state-of-the-art eco-friendly set of executive suites with breathtaking views of Bay Street and the surrounding area. This distinctive location features light and spacious meeting rooms, an onsite café and a professional inclusive support team. World-renowned P-A-T-H is directly linked, as well express access to Queen subway station, protected parking and Toronto’s most vibrant areas. This exceptionally well equipped, luxuriously furnished and highly professional business center location offers an extensive range of spacious, light and airy serviced office suites to rent, located just seconds away from the ROM and University of Toronto. Ideal for the most discerning executive, video conferencing facilities, sophisticated telecoms system and full onsite business services are all-inclusive. Offering unsurpassed, fully serviced executive suites in Toronto’s dynamic center, this acclaimed business center is at the top of its class for luxury and convenience. A fantastic collection of gourmet restaurants, shopping malls, global industries and charming cafés are on the doorstep. Clients benefit from state of the art equipment and technology, as well as close proximity to the rest of Ontario via nearby Don Valley Parkway. This exquisitely furnished and state of the art business center installation provides all prospective tenants with an extensive selection of diverse and varied workspace solution packages, with the ability to individually tailor the flexible services and provisions to adapt to your specific business needs and corporate requirements. The locality also provides convenient transport links to and from the center. Presenting fresh, modern and spacious executive suites and innovative virtual offices. Light and airy conference rooms, state-of-the-art equipment and technology, and dedicated reception services are all included. Benefiting from an excellent location in the centre of Toronto, a large number of restaurants, hotels, shopping malls and transport links are only minutes’ away. The center is also easily accessible from the wider region at large. This center is located in the Islington sub-market in one of three class A business towers. Close to excellent transport links, this center offers excellent business accommodation on flexible terms of occupancy as standard for all prospective occupying tenants. An eye-catching building, offering a prestigious company address, this site offers such facilities as spacious meeting rooms, breakout space and high speed internet. This stunning workspace boasts an impressive selection of furnished contemporary offices to lease and is a perfect choice for small businesses. It is situated in the picturesque area of new Toronto and is easily accessible from the downtown area. Full climate control, free onsite parking and an idyllic outdoor garden are available for clients’ exclusive use at at time, making this center a unique and memorable working environment. Located near Toronto’s thriving Financial District, these luxury executive suites offer the best in modern convenience. Each office to lease comes fully equipped with high speed internet, upgraded telecoms systems and professional amenities. The local area is brimming with high end restaurants, shopping malls and cafés, and provides excellent transport links to the rest of the GTA via Highway 404. This outstanding Class AAA high-rise offers a plush collection of upmarket executive suites and virtual office packages tailored to client needs. Set in one of Toronto’s most prestigious locations just minutes’ away from downtown. Available on flexible lease terms and with spectacular views throughout. The regional transport links in operation throughout the area are exceptionally convenient and frequent. This exquisite and contemporary co-working venue is one of the more premium and commercially significant office installations in the region, offering executive and high quality co-working solutions for professional tenants of any industry or background. Featuring a number of convenient provisions and facilities, as well as the area's central pool of flexible professionals, this is the perfect destination for clients in search of comfortable and modern co-working space. Rental serviced space now being offered close to the 401 near Scarborough close to the TTC, and near to many restaurants, cafés, and a child care centre. The offices are based in the Consillium Place at this North East location. This centre offers executive suites and virtual office space and includes reception, well designed office suites offering the latest technology, and plenty of meeting rooms. These suites offer tailored stay that can be accessed at anytime. This upscale and elegant business center is superbly located in the corporate center only minutes’ away from downtown Toronto. Featuring modern technology and spacious executive offices to lease, clients also get use of the onsite parking facilities and benefit from excellent views of the surrounding landscape. Both highways 401 and 404 are in close proximity for unparalleled access to the Greater Toronto area. On a distinctively modern and highly professional corporate campus, this technologically powered business center provides superb access to the central business district via Don Valley Parkway, Highway 401 and the LRT station (within walking distance). The executive suites are surrounded by a number of trendy restaurants and cafes as well as world-famous retailers and designers, all in addition to the area's fantastic regional transport links. From 300 to 1,500 sq. 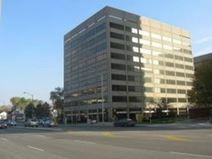 ft. this business centre provides 25 different sized offices in a prime location in North York. With beautiful, large meeting rooms, tenants include accountants and those from the legal and mortgage industries, while there is also free parking and an on-site gym available. The regional transport links are excellent also and make the site easily accessible via numerous road and rail networks. Set in Toronto’s vibrant entertainment district in a landmark venue, these luxurious executive suites are perfectly situated to provide clients with an elite level of business services. The latest technology, superb transport links, and exceptional views of Lake Ontario and the surrounding area are only a few of the benefits on offer. A fabulous selection of high-end restaurants and 5star hotels are only a few steps away. This centre in Richmond Hill has impressive design and decor. It has 28 fully furnished offices, meeting and boardrooms, lounge areas, equipped kitchen area and 4 bathrooms, a squash court and other exercise facilities. The facility offers a staffed reception area as well as mail and telephone answering services. It's located close to Highways 7, 404 and 407, providing easy airport links. Surrounded by a variety of restaurants and hotels, this centre is an ideal location for impressing clients. This area is considered to be one of the most popular in Toronto due to its high volume of offices, restaurants and cafes, as well as a movie theater. This center provides large, bright and furnished executive offices with or without support staff. The site offers spacious meeting rooms, conference facilities, dedicated corporate telephony, support staff and much more. The local transport links are also very good and make the center easily accessible from afar. Serviced space located close to many international hotels and restaurants, with lots of deli and cafés to also choose from. This facility is based in an upscale area of Etobocoke, near to the edges of Toronto. 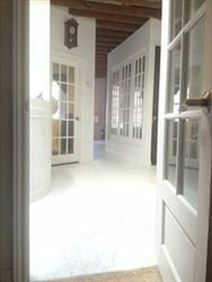 Easy transport access available minutes’ to the metro. The regional transport links are also excellent and provide a number of frequent and convenient services in operation throughout the locality and wider area. This exceptionally well equipped and luxuriously fitted business center installation is a technologically advanced and highly innovative business complex, perfectly designed to cater for any type of corporate or professional requirement with ease. The site provides all of its clients with a number of fantastic facilities and services including high speed internet connectivity, spacious meeting rooms and much more. 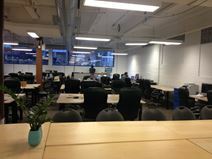 Situated in Toronto"s design district this newly renovated building provides dedicated desk space on the upper floor along with a boardroom and shared desks on the ground floor. Downstairs is made up of modular furniture allowing the space to transform as required. The regional transport links are also fantastic and make the center itself easily accessible from all parts of the wider region at large. Rated one of the coolest neighborhoods in the world by Vogue Magazinethis creative business center is located in the iconic John Street corridor. Known as Toronto"s artistic hub of urban pop culture, the range of open-plan and private office space is ideal for creatives, while the rooftop patio is perfect for relaxing and recharging the batteries. The regional transport services in the area are also excellent and make the center easily accessible. Quiet phone booths available for private calls. This space has 18-foot ceiling and beautiful columns with a private landscape and a huge outdoor terrace along with King St West. 30 kilometers worth of shopping, restaurants, services, and entertainment. Located near the path It connects 50 office towers and according to the Guinness World Records, it’s the largest underground shopping complex in the world. 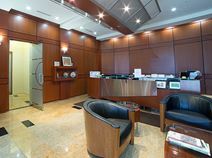 Allowing clients to greatly benefit from the ideal location based within Toronto’s thriving main financial district and central business hub, these Class A executive office suites are some of the most luxurious and technically superior business facilities in the region; complete with cutting edge technology, plush boardrooms and all inclusive business facilities. An immense selection of shopping malls, restaurants and the unique PATH are only a short walk away. 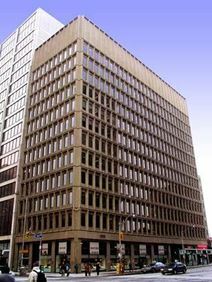 With a great and commercially significant corporate location in downtown Toronto, this recently renovated business building is exceptionally close to many local amenities and offers a range of well-equipped office suites and workspace solution packages ideal for catering for any type of corporate requirement. A friendly staff team is on hand to help, and a full range of business facilities is available including high-speed Internet and 24-hour access. 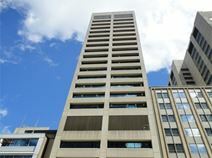 On the fourth and fifth floors of this smart and practical building in the heart of Toronto's financial core, this centre allows you to focus on business while there are also good transport links close by as well as a host of restaurants and retailers. The regional transport links are also excellent and provide a number of frequent and convenient services in operation throughout the immediate locality and beyond. Premium meeting room that is perfect for training events, conference calls or just brainstorming. First class amenities compliment this already established business professional environment. This space is second to none when it comes to providing companies with first class service. Located near many local transportation stations, providing convenience for employees and clients alike. Flexible terms are also available. This location offers clients with a premium office experience that sets itself apart from the competition. Clients will enjoy incredible skyline views, a professional environment, private phone booths and many more services. This building is located in the heart of Toronto and offer both serviced office suites and coworking desks! This space was designed with productivity in mind and provides clients with the tools needed for success. This modern and exceptionally well equipped business center installation and corporate venue includes a convenient range of executive suites to suit different business sizes and professional requirements. Right at the heart of Toronto near to the PATH and Union Station, a great variety of amenities are on the doorstep. Convenient to the subway as well for easy access to and from these well-equipped offices to lease. This centre is set in a refurbished 19th century former factory in Toronto. This is a stylish area, a booming fashion district, and this centre offers a prestigious venue for your business. Easy to reach, and close to many great restaurants, bars and more. The regional transport links present throughout the locality are excellent and offer prospective tenants with a range of frequent and convenient services. 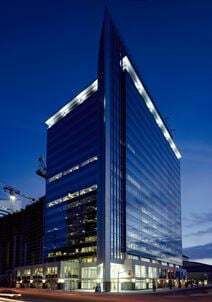 This hugely impressive and contemporary 72-storey office building is the tallest building in Canada and provides your business with an iconic and prestigious business address from which to base corporate operations. The business centre provides a full range of co-working, open-plan office space and private fully furnished and equipped offices. In the heart of downtown Toronto"s financial district. With a great location in downtown Toronto, this recently renovated building is close to many local amenities and offers a range of well-equipped offices. A friendly staff is on hand to help, and a full range of business facilities is available including high-speed Internet and 24-hour access. Local transport links are also very good and provide a wide range of frequent and convenient services in operation regionally. Recently completed to a high professional and corporate standard, these elegant, sophisticated office suites available to lease are excellently situated in downtown Toronto with easy access to all major transport links and the locality's extensive selection of amenities and public services. Clients may select from an impressive range of light and airy executive suites in flexible layouts, and can take advantage of the latest technology and spectacular city views. Merely minutes from downtown Toronto and the area's foremost retail and commercial districts, this modern office building provides stunning views of Lake Ontario and the Humber Bay Marina and is situated within one of the most significant business location is the city. The furnished office space is ready to move into with a range of short- and long-term leases available. A shared boardroom can accommodate up to 12 people. Offering a fantastic corporate business location in Markham’s business hub, only a few minutes’ from downtown Toronto and Highway 401. These fully furnished luxury offices are available in a convenient range of sizes allowing clients to tailor services to their needs. Including T1 high speed internet access and advanced telecoms, each executive suite to rent provides incomparable and flexible lease terms. Surrounded by a wide variety of businesses, and easily accessible by public transport, this third floor office centre provides an ideal location for your business. Offering light, spacious offices along with a host of business support services. The locality's regional transport links are also excellent and provide prospective tenants and commuting visitors with a multitude of frequent and convenient travel options. This office space offers businesses with the ability to choose from different leasing options, making it one of the more flexible office spaces available. A long list of amenities provides businesses with all of the tools needed to run a successful office. Located in a great neighbourhood that gives companies an impressive surrounding atmosphere. Conveniently positioned nearby many transportation stations. Within a few minutes walk of the main central financial core of Toronto, this exquisite corporate location is just outside the hustle and bustle of the city center on the quieter side of Queen Street East and some of the area's primary entertainment venues and sites of public interest. The business center provides a range of flexible office space within a period bold brick and exposed beam building. This executive office building was completed in 2014 and is not only architecturally elegant but also highly efficient, due to the recent and high quality premium refurbishments. The center now benefits from the very highest standard of technical equipment and state of the art facilities, in addition to the varied workspace packages on offer including serviced suites, spacious communal areas and specialist function rooms. There are clear views to the lake from the office space and is surrounded by a number of great shops and restaurants. With fantastic views of Inner Harbor and the immediate surroundings of the building's vibrant locality, this professional and premium business center provides flexible office space situated on the 25th floor of an impressive and contemporary office building and has received LEED Core and Shell Platinum ratings. Located in the vibrant and cultural entertainment district of Toronto, directly adjacent to the waterfront, this is the ideal setting for all prospective tenants. Excellent strategic location in Toronto. Is walking distance to many restaurants, banks, and shopping stores. There are many bars within walking distance so you can take your clients after an agreement on closing a deal. This office also offers discounts on restaurants and parking spaces. This location is considered to be an architectural gem, offering a vibrant and refreshing atmosphere. This building amazes as soon as you walk into the door, showcasing soaring ceilings, historical arches, and charming brick & beam accents. First class amenities compliment all of the office space offered at this location. Enjoy the convenient access to many of the local restaurants without having to walk outside. This exquisitely furnished and fully functional business center is a state of the art and technologically sophisticated business hub complete with a wide range of diverse and varied workspace solution packages with a major degree of flexibility in occupancy terms, allowing all prospective tenants and professionals to fulfil their specific corporate requirements. The locality's transport links are also very convenient. 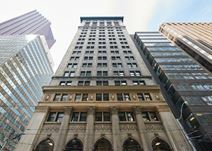 Six full floors of private offices, co-working space, and meeting rooms are on offer from this 100-year-old-building in Toronto"s tech hub, right around the corner from Osgoode Station making it easy to commute to and from. An on-site team are available to cultivate collaboration through a range of networking events. The local transportation networks and infrastructure are excellent and make this business center easily accessible. Presenting a beautiful set of plush executive suites in a convenient range of sizes. Clients are entitled to the well-equipped conference rooms and a dedicated A/V centre, and benefit from a network of sister business centres across Montreal for easy access throughout Canada. Highway 491 and Sheppard Subway Station are only moment away. Situated in North York’s most elite and prestigious business centre, these sophisticated executive suites offer specifically tailored and specialist workspace solution packages to clients. 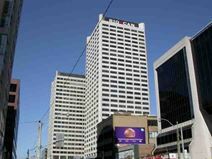 Clients additionally benefit from a superb location next to the Yonge-Shepperd station in Toronto with Highway 401 and North York Centre only seconds away. Take advantage now of this spectacular professional venue. This premium office space allows its members to choose from many different pricing packages, ensuring the best plan available is selected. Surrounded by many local activities and restaurants. Join a vibrant network of entrepreneurs, freelancers, startups and teams of all sizes and take advantage of all this thriving community has to offer – including regular social events, collaborative opportunities, keynote speakers, workshops and more. Close enough to downtown Toronto to make access easy but far enough away to avoid the congestion, this Deer Park neighbourhood location is perfectly suited for law, finance and insurance firms. The fully furnished flexible office space options are surrounded by various local amenities including a number of major banks, gyms and fitness centers, a multitude of local and big name shops and retail outlets and some of the city's very best restaurants. The area's transport links are exceptional and make travel throughout the city and its surrounding reaches easy and convenient. This center is located in the heart of Toronto’s Financial District, offering access to many of the area's best restaurants, historic landmarks and local activities. This office is perfect for small businesses looking to grow, established companies, and everything in between. Offering serviced offices and coworking space, this location was designed to fit all of your needs. A long list of amenities provides your company with the tools needed for success. This premier address is just steps from the prestigious financial core of downtown Toronto and as such provides quick and easy access to the whole of the city. The range of fully equipped flexible office space is housed within a stunning building which combines historical architecture and modern design. The regional transport links are also excellent and make this business center easily accessible for all clients. Just a 20-minute drive from the airport and downtown Toronto, these fully furnished, private offices are complemented by a range of business support facilities including three conference rooms and are located in the heart of Scarborough in Toronto"s East end. The regional transport links are also excellent and provide a number of frequent and convenient services in operation throughout the wider region at large. This fantastic and contemporary business centre is situated directly next to the St Patrick Subway Station and very close to many of Toronto's most important and culturally significant institutions and sites of public interest. Offering an exceptional range of office space provision to suit any and all needs and specific corporate requirements of clients from across any industry, this center is the ideal location for any type of commercial activity and professional operation. This exquisitely furnished business center installation is a key corporate hub and a major part of this locality's central business district, offering all prospective tenants with a vast array of professional services and facilities which include high speed internet connectivity, on-site management and staff support services, conferencing capability and more. The local transport links are also excellent and make the center easily accessible. This center is located on a tree-lined thoroughfare, minutes from the financial district. Offering a range of workspaces to suit your needs, this center is close to many other businesses, including law firms and publishing. The regional transport links are also excellent and provide all prospective tenants and commercial occupants with a range of convenient and frequent transportation services available locally. 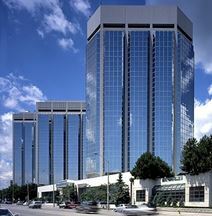 Located in the heart of Toronto's most significant financial district, this iconic business installation and landmark office building was completed in 1957 and now provides a choice of 43 private offices and a number of dedicated desk options, all benefiting from contemporary and luxurious modern furnishings and interiors. Spaces have an abundance of natural light while members also have access to a contemporary lounge space in the vault. This location provides a truly unique experience when it comes to leasing office space. Offices have been designed for established businesses, freelancers, and budding entrepreneurs alike. You will not be disappointed as this space offers premium amenities and features a spacious lounge area. 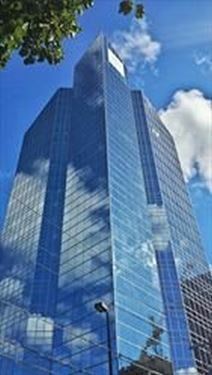 Located in the Commerce Court area, this location offers access to many local restaurants and transportation stations. Combining plush executive suites and contemporary virtual offices, these professional spaces are available on flexible lease terms for the ultimate in convenience. Situated on eminent Yonge Street seconds from Highway 401, this all-inclusive business centre is easily accessible from the surrounding areas. The center is easily accessible due to the area's fantastic quality and highly convenient transportation infrastructure. Presenting this incredible business centre that features unprecedented architecture in prestigious North York. State-of-the-art technology, advanced telecommunications systems, secure parking and experienced staff are all on-hand to create a cohesive working environment. In addition to the area’s best transport links, the space is well placed for Mel Lastman Square and a very impressive array of restaurants, cafés, shopping and cultural events. 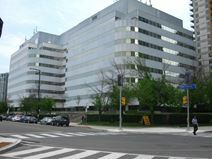 Situated on the corner of Yonge Street in the heart of the business district of Toronto, this center is just seconds from a wide and extensive variety of excellent transport links; including both road and rail networks in operation throughout the surrounding region and beyond, which makes this center easily accessible. Constructed in 1897, this property offers quality modern office accommodation with period features. This is an impressive piece of modern architecture, with this prestigious and professional serviced office center located on the 11th floor. The building is well connected by the PATH pedestrian network, and the centre is at the heart of the city""s financial district. Serviced offices are available here for immediate occupation. The business center is accessible for commuter rail and bus services to the suburbs. This business centre is highly accessible by road, and boasts controlled underground parking. This is a Class A office building offering a range of serviced offices along with a full selection of business support services. The regional transport links are also excellent, with an extensive range of frequent and convenient services in operation throughout the immediate region and its wider reaches; which makes the center easily accessible for both clients and visitors. 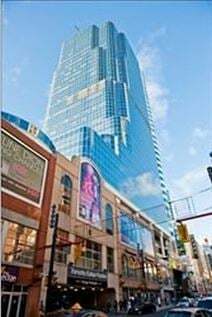 Situated at Eaton Center on Yonge Street, in the heart of Toronto's vibrant and commercially significant business district, this contemporary and prestigious landmark business center offers all prospective clients with an impressive and highly accessible venue for your business. This fully furnished and serviced office centre enjoys great views, comfortable lounges, excellent IT infrastructure and more. Downtown Toronto-based bright studio loft space ideal for photographers or artists. Situated between Wellesley and Bloor Metro stations the space is easy to find for clients and includes a small office space and shared reception. Just steps from Toronto's largest shopping mall, Eaton Center, this commanding heritage building is home to a vibrant and professional business center setting providing an abundance of natural light and modern flexible office space with quality interiors, benefiting clients by offering the region's foremost working environment, highly conducive to productivity and a creative, professional atmosphere. 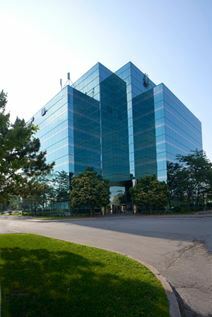 Located in the Bedford Park district in the heart of vibrant Toronto, this flexible office space benefits from a prominent corner location surrounded by companies from a diverse range of industries including law, medicine and finance and just a short walk from the tranquillity of Sherwood Park. Serving as one of the more prestigious and impressive corporate locations in the region, this center is perfect for any type of professional tenant. This exquisitely furnished and technologically sophisticated business environment is a state of the art corporate installation offering all prospective tenants with the perfect settings and provisions for any type of corporate business requirement. The building is contemporary and stylishly furnished with spacious meeting rooms, dedicated corporate telephony, high speed internet connectivity and much more provided on-site for all tenants. This location was designed the idea that businesses could come in and establish a place that they can call home. A truly unique office experience, this space offers flexible leasing terms while also providing all inclusive pricing packages. Your office will never have to worry about additional fees again. This location offers serviced office suites, coworking offices and dedicated desks. Located in a great surrounding neighborhood. Superbly located on vibrant Yonge Street, these Class A business suites offer an impressive range of facilities. Each executive office is wired with high speed internet and state of the art technology. All of Toronto is within easy reach with fantastic transport links to the surrounding area. The center is easily accessible via numerous extensive transportation links and across both road and rail networks. Wired with ultramodern technology and expert support staff, these plush executive suites in Toronto’s buzzing business district are available in a fantastic range of sizes to suit all client needs. Onsite boardrooms equipped with videoconferencing, high speed internet and sophisticated outdoor terrace provide the best in professional convenience. Located only moments away from excellent transport links, including buses, subways, and multiple auto-share spaces. Executive space located in this upscale area of Oakville making this an excellent cultural site that provides easy access to Toronto. This premium standard workspace facility offers such technologically innovative and sophisticated facilities, services and corporate provisions as state of the art videoconferencing capabilities, administrative support and assistance, spacious meeting rooms and breakout space and kitchen facilities. A beautiful, inspiring and creative office space in Toronto's upscale Yorkville just steps away from a wide variety of shops, an abundance of restaurants, cafes, bars, and other well needed facilities. Roughly 10 minutes walk to Queen's Park within the University of Toronto's St George Campus and connected to Bay, Bloor-Yonge and Museum Subway Stations within less that ten minutes walk. An office space equipped with all the tools necessary to grow your business, in vibrant designer workspaces that supply you with the opportunity to connect with like-minded individuals. The perfect place for every business to keep you comfortable, creative and focused whatever your field of expertise.